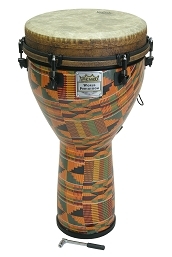 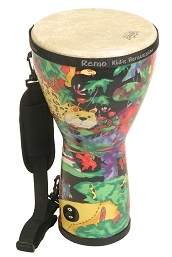 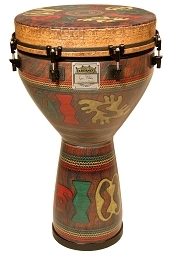 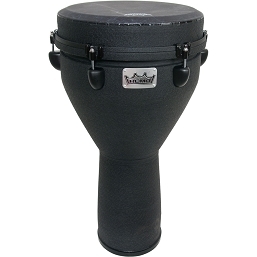 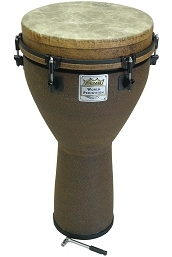 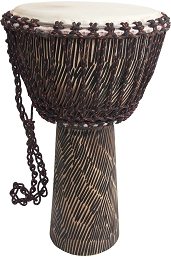 A djembe also known as djimbe, jenbe, jymbe, jembe, yembe, or jimbay, or sanbanyi in Susu; is a skin-covered hand drum shaped like a large goblet and meant to be played with bare hands. 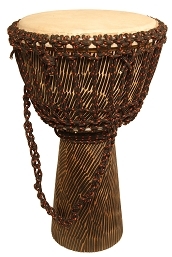 According to the Bamana people in Mali, the name of the djembe comes directly from the saying "Anke dje, anke be" which literally translates to "everyone gather together" and defines the drum's purpose. 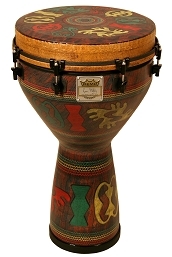 In the Bamanakan language, "Dje" is the verb for "gather" and "be" translates as "everyone". 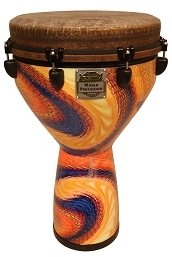 Legend has it that the first djembes were made from the skin of the mythical cross between a giraffe and a zebra, the 'gebraffe'.